Planning a celebration? Need a place to host your next bible study? 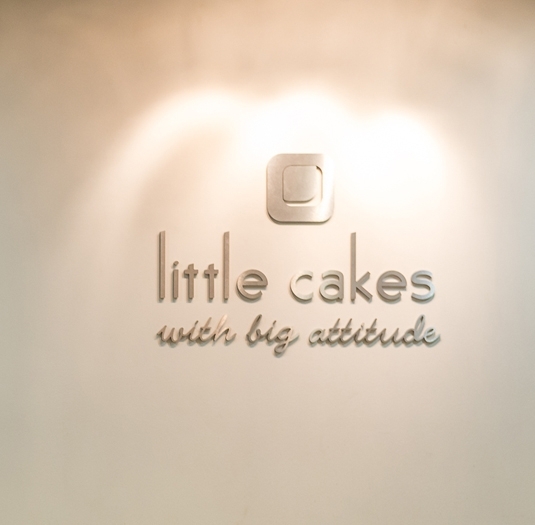 At Little Cakes we take great pride in providing a welcoming space that is warm and inviting for your guests. Our goal is to provide exceptional service and to always exceed your expectations. Call us to chat about what you have in mind and we will work to ensure your event is an extra special treat. Happy Cupcaking. When can I host a party or shower at Little Cakes? Facility rental is available only on Sundays. How much is it to rent the facility? The cost is $275 for use of the facility. We require a $50 nonrefundable deposit to secure the date and time of your event. A Facility Rental Agreement must be completed at the time of deposit. The remainder of balance can be paid on the day of your event. What comes with the facility rental? The $275 fee includes use of the front dining area & customer restrooms for 1.5 hours, 3 dozen small cupcakes, coffee, tea and water, wooden plates, forks, napkins & cups. We will also have 2 staff on hand to work your event. How many people can I have at my event? Our facility will seat 45 people comfortably. When can I arrive to set up? Our staff will arrive 45 minutes before the event starts. You can arrive at this time to begin setting up for your event. Can I bring in my own cake? What outside food can I bring in? We ask that all sweets, desserts and drinks be purchased through Little Cakes. If you would like to provide any type of snacks, meal or food, you are welcome to bring in from an outside source. Please provide your own serving utensils for these items. Can I serve any alcohol at my event? There is to be NO alcohol brought on to the premises of Little Cakes with Big Attitude. We do not have an alcohol permit. If alcohol is brought into the facility, we reserve the right to cancel the party immediately, forfeiting any and all fees and monies. Can I decorate my event? All decorations must be approved by Little Cakes. There are to be NO decorations hung from the walls, ceilings or fixtures. Tabletop decorations are acceptable. No tape of any kind is allowed on the wood floors. What if I want to rent the facility for more than 1.5 hours? If you need use of the facility longer than the 1.5 hours included, there is a $100 per hour fee. This needs to be discussed at the time of signing the Facility Rental Agreement. What happens if I have to cancel my event? Should you need to cancel your event, we ask for a minimum of 48 hours in advance. The $50 deposit fee is nonrefundable. Any additional balance paid will be issued in a store credit. 2018 - 2020 Little Cakes with Big Attitude. All rights reserved.